Jesus Christ is the reason for Christmas. 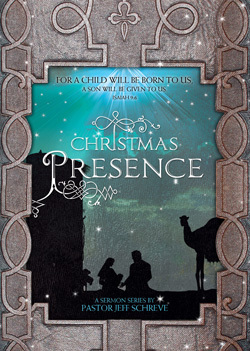 The most wonderful Christmas present of all is the Lord’s actual "presence" with us. In this 4-MESSAGE series, Pastor Jeff Schreve shares helpful insights into the four names of Jesus given in Isaiah 9:6: Wonderful Counselor, Mighty God, Eternal Father, and Prince of Peace.